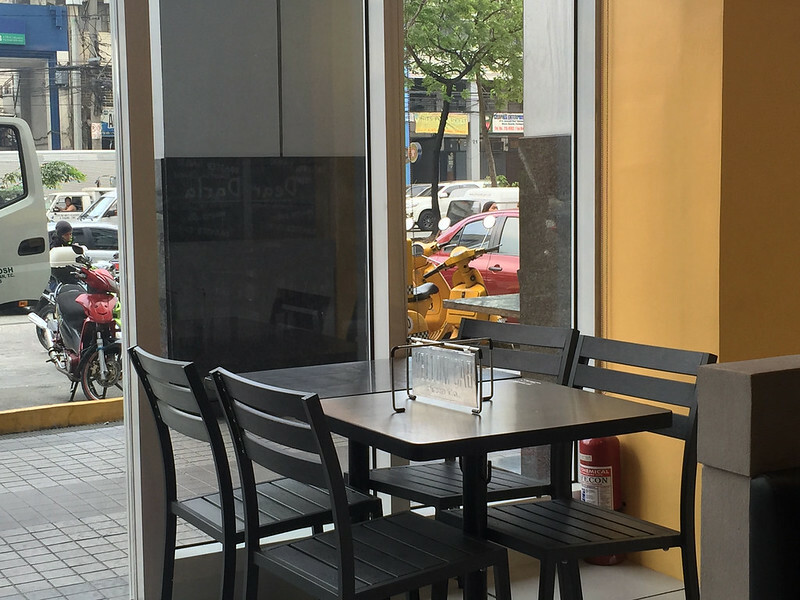 Mezza Residences found at the corner of Aurora Boulevard and Araneta Avenue has a special place in my heart because this is where my college friends and I hang around every time we look for a great place to chat. 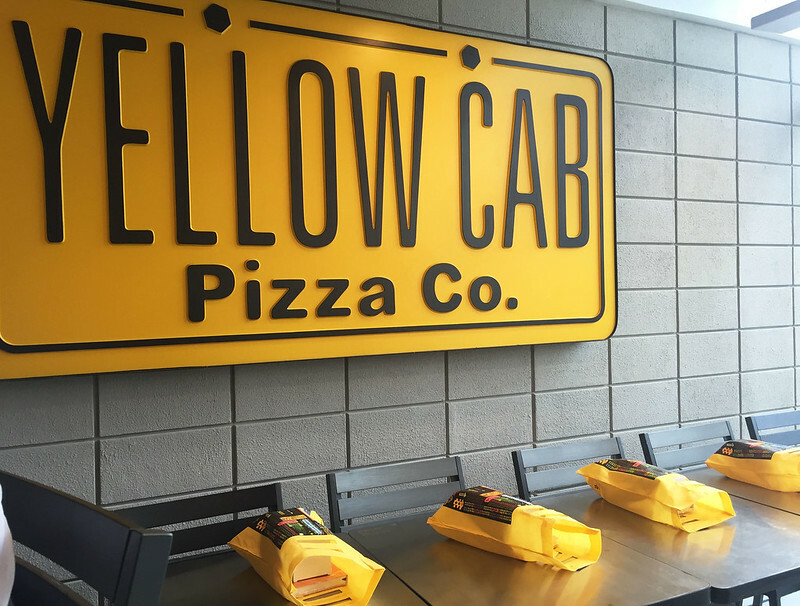 Recently, I just found out that the Yellow Cab just reopened their store few weeks ago and I cannot miss the opportunity to visit their newly-renovated store. 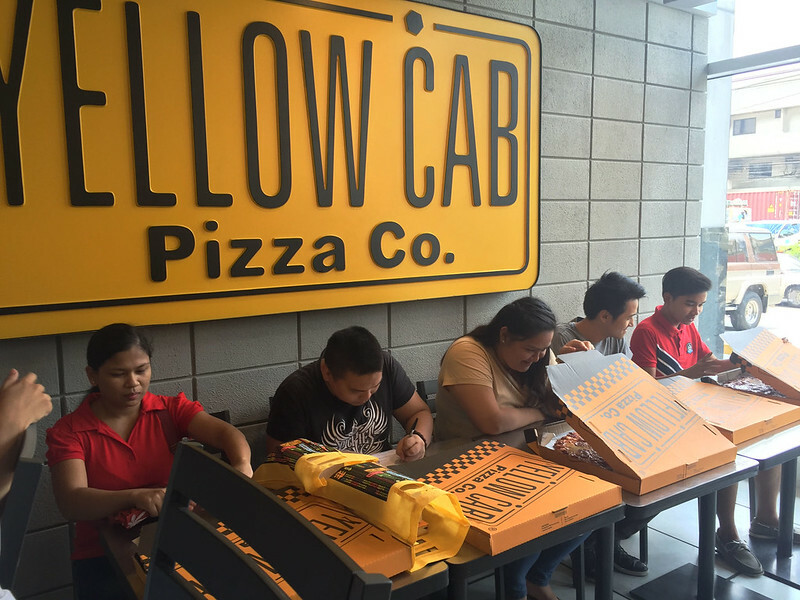 During the official reopening, we were able to witness the Man VS Pizza competition among Yellow Cab lovers. 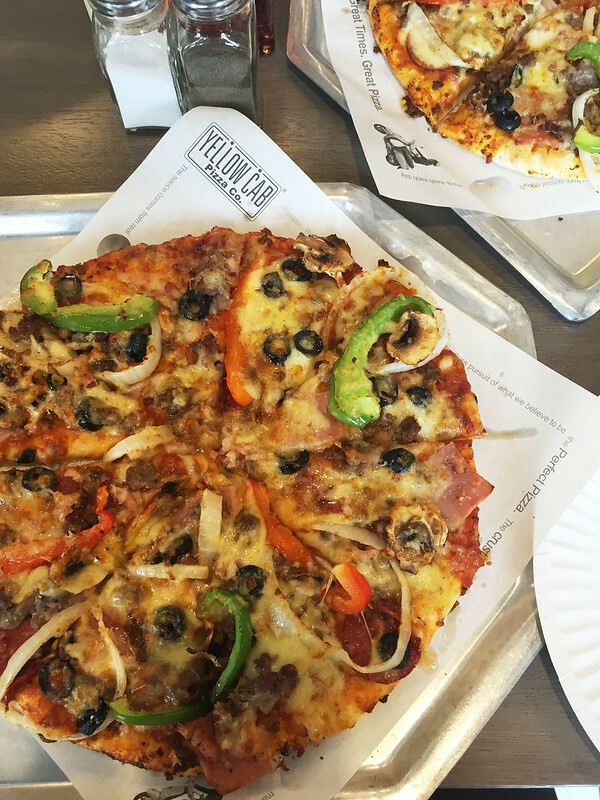 The first one to consume all the 18-inch NY Classic New Yorker Size (18 inch) will get to win a 6-month supply of Pizza from Yellow Cab. I wonder if I can finish this myself because it's just too much. 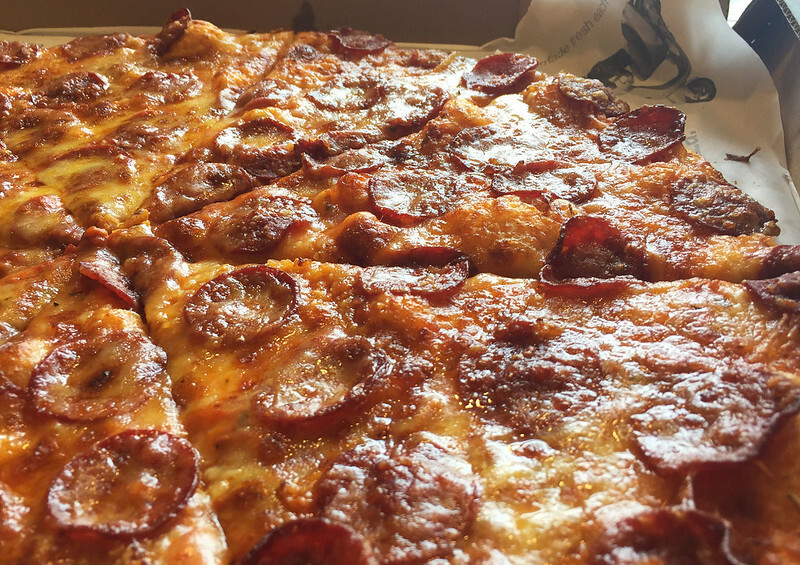 It looks oh-so-good! 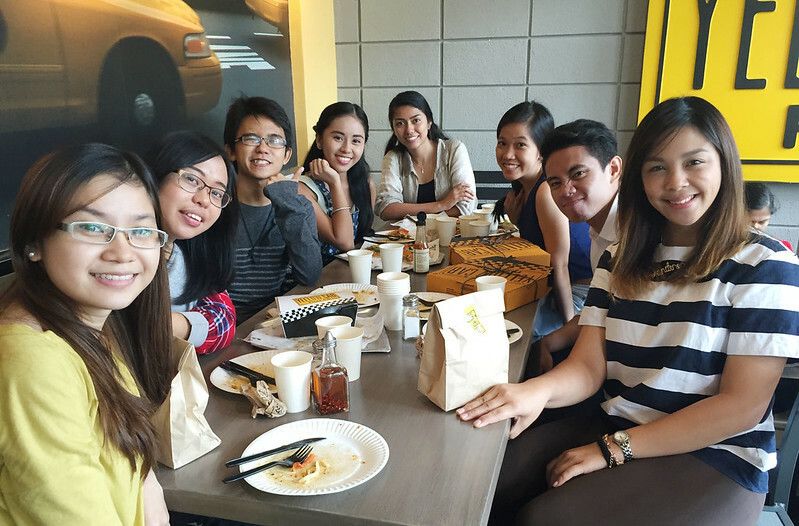 Somehow, I felt envy because they get to eat the pizza all by themselves! We're also in for a treat as we were treated with one New York's Finest each. Not bad! I'll just try to do my own Man VS Pizza instead. 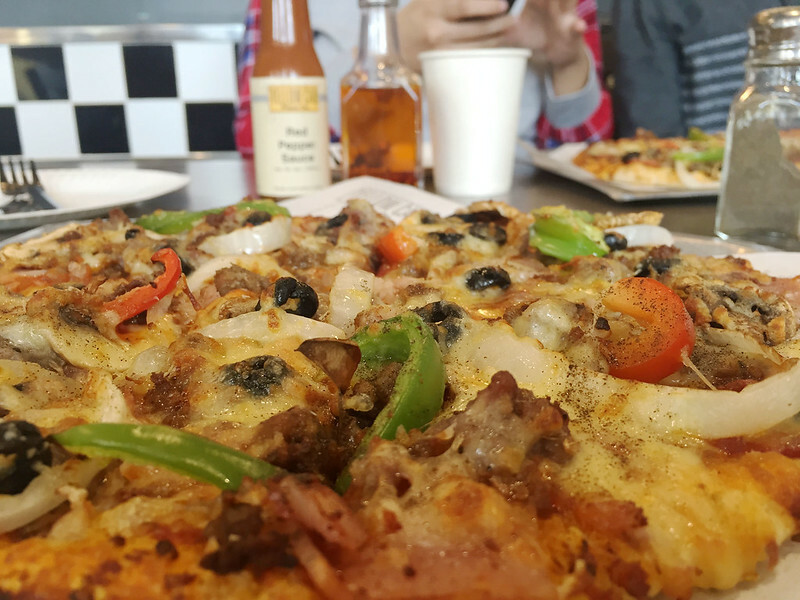 I usually take off the vegetables in my pizza but this one's an exception. Every bite is so crunchy I didn't noticed I devoured over three slices of pizza already! 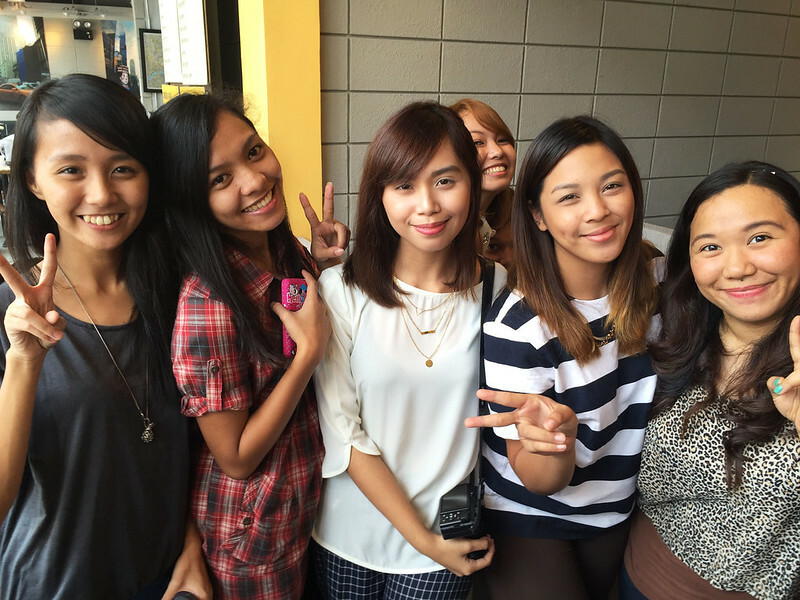 Alongside the yummy food, I was able to meet other blog readers as well! Thank you Ava for the invitation! 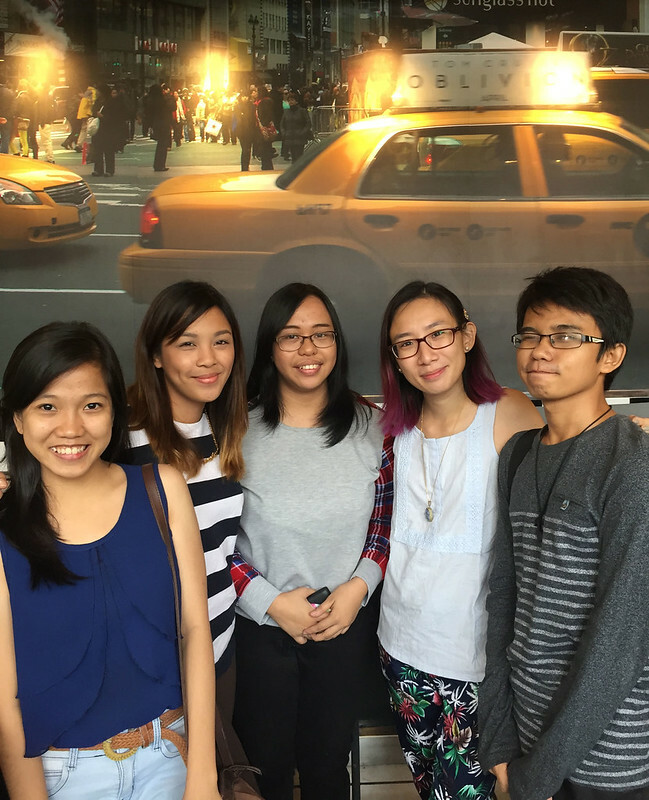 It was nice to meet you alongside the other blog readers! 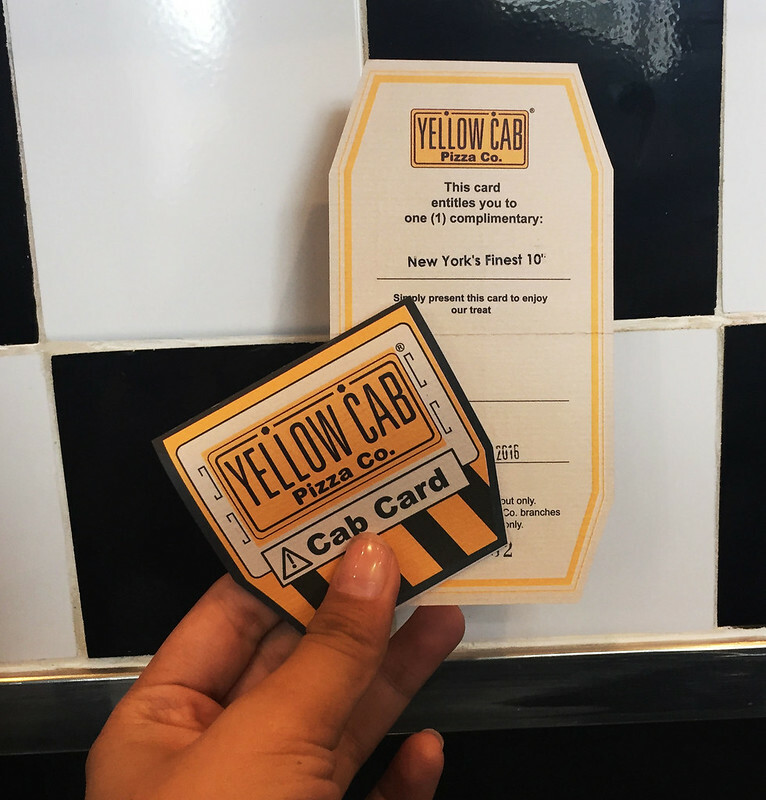 You can check updates from Yellowcab here and here. Nice seeing you again, patty!! :) glad you had fun!